and firearm hardware, providing proven tactical superiority for law enforcement and military engaged in high threat level environments. 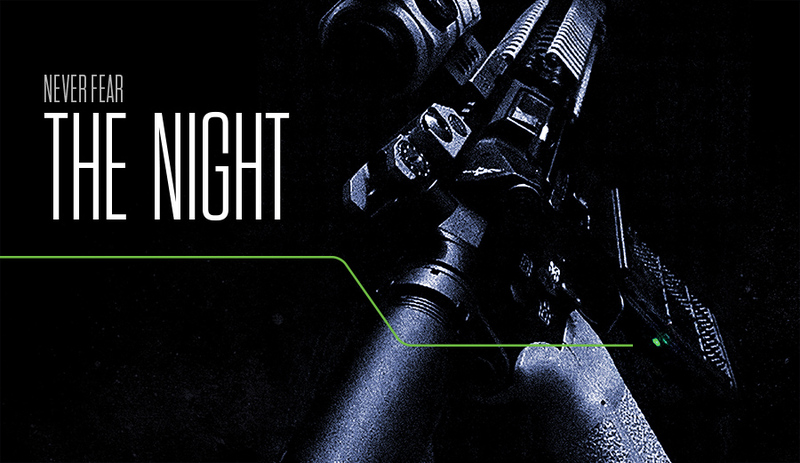 Our patented firearm component technologies focus on conservation of motion resulting in combat advantage. The LEMI allows the operator to visually check ammunitions quantityremaining in the magazine during low-light and zero-light conditions, making it indispensable for nighttime operations. 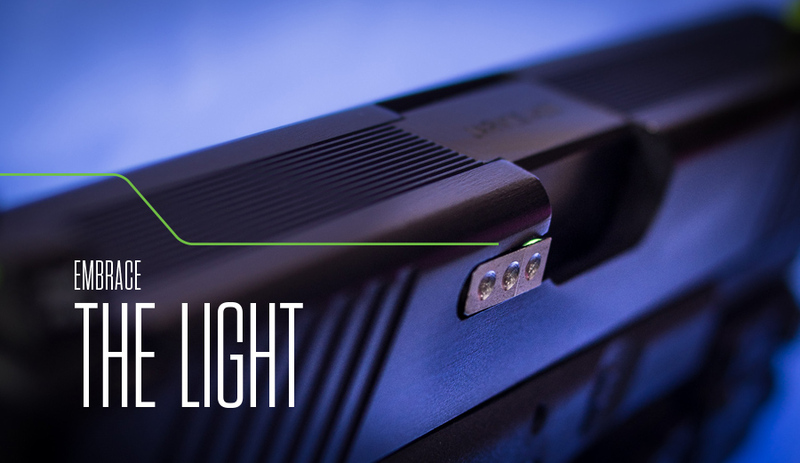 Our exclusive and minimal low-light signature makes it easily viewable by the operator only, and is directly faced at the operator when the magazine is inserted in the weapon’s lower receiver. Superior build materials ensure proper performance under extreme environmental conditions, and in the unlikely event of inoperability,LEMI does not affect standard magazine use. The ICSI is a combination extractor with integrated illuminated chamber status indicator, enabling the operator to verify visually the condition of the weapon’s chamber - irrespective to time of day. It also facilitates tactile weapon’s chamber check with gloved hands, either visually, or direct to brass. As with all ACS products our superior build materials ensure proper performance under extreme environmental conditions, and in the unlikely event of inoperability, ICSI does not affect standard extractor use. Advanced Combat Solutions was founded by Leroy Ball and Michael Ball, father and son. The company came into being in 2010 and is based in California. Leroy Ball is a veteran of the United States Navy and was a naval aviator for six years. One of his first assignments was to the N.A.S. at Point Mugu Pacific Air Missile and Weapons Test Center. It was here that he served in the target drone division, its mission, to provide target drones and controller/chase planes from selected military storage facilities. His second duty station was at the N.A.S. Barbars Point, Hawaii and the N.A.S. Midway Island. During his time at these facilities he was assigned to AEW Baron PAC Airbourne Early Warning System, its mission, to provide Airbourne coverage from Hawaii to Midway to the Aleutian islands in Alaska. After his military service he worked for Flying Tigers where he flew cargo, troops and supplies for the distance early warning system. Leroy also flew as a contracted civilian pilot for the U.S. government Department of Defense. During his time as a contracted D.O.D. pilot he was given top secret security clearance and ranked at a GS-15 level while fulfilling his duties for the U.S. Government in a special ops division. His duties included flying sorties into Nakon Phanom, Thailand, Vietnam, and Laos flying reconnaissance, providing electronic surveillance of troop movement. Before retiring from professional flying he worked as a flight instructor in Southern California training pilots in aerobatics, as well as training helicopter pilots. He currently focuses his energies on design and engineering of firearms technologies in continued support of military and law enforcement that depend on these tools in the line of duty. Michael Ball has had a career in the financial markets as a full-time derivatives trader of U.S. based electronic-mini futures contracts since early 2001. He has created returns on capital via high-frequency to ultra-high-frequency trading of these equity index financial instruments via self-designed algorithms and 100% fully automated trading programs. He has designed proprietary computer-based trading tools for individual traders as well as prop-trading firms and small sized hedge funds. He has conceptualized and designed electronic trading tools for international brokerage/trading firms such as E*Trade financial. He has enhanced the efficiency and added functionality to the highly proprietary internal equity tracking software of Silicon Valley Bank. He, along with a partner formed their own hedge fund from visualization to launch. Michael has a bachelor's degree in business administration with an emphasis in business law and the legal environment from F.S.U. Michael's exposure to firearms has been from a very early age, and from that time has developed into a passion. He has trained and competed with the handgun, rifle, and shotgun, and is recognized as a master level shooter in the pistol category. He has had formal close-quarter high-speed combat training with the handgun at facilities such as Blackwater, Defensive Firearms Training, and Front Sight to name a few. He has also received tactical medical training in 18-Delta, TCCC protocols from Special Operations Training Services. He is currently recognized as a California State firearms instructor assigned by the California Department of Consumers Affairs. He is fully committed in helping to design and create firearms based hardware that is deployable for use in military and law enforcement applications.